The setting sun created silhouettes of the rock outcroppings just offshore as I walked along Greenwood State Beach. Waves crashed into the rocks with bursts of white spray, but softened into ribbons of sea foam as it reached the sand. 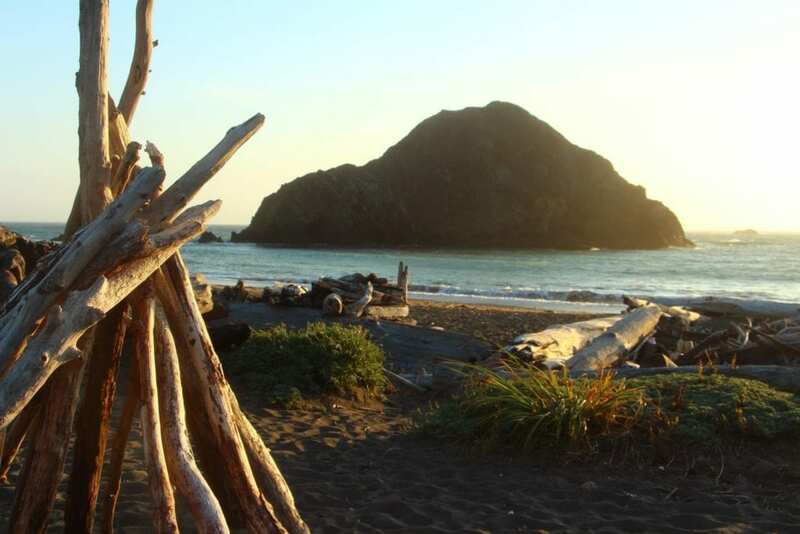 Driftwood was strewn across the beach, piled here and there into makeshift shelters. And save for a thousand or so Velella Velella that had washed up onto the shore, I had the beach all to myself. The solitude and tranquility of this lovely beach, however, belies its past. 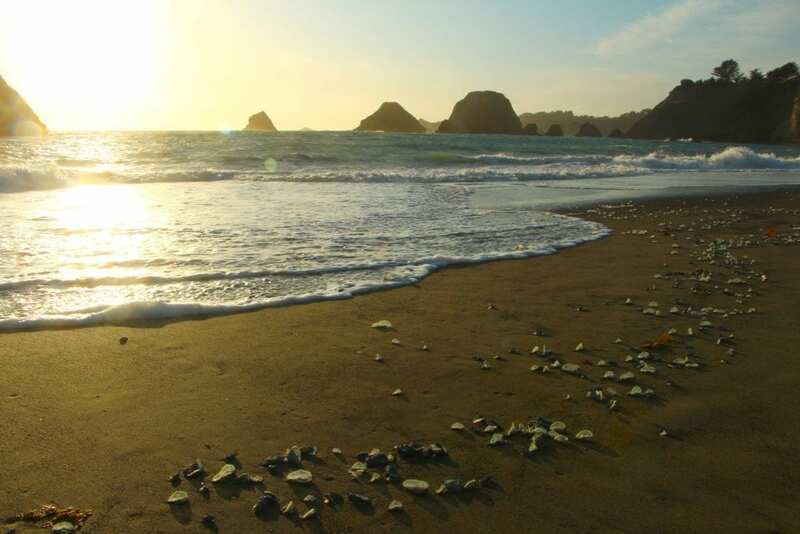 The beach is located in the tiny hamlet of Elk (population of 200), about 150 miles north of San Francisco and 15 miles south of Mendocino Village. 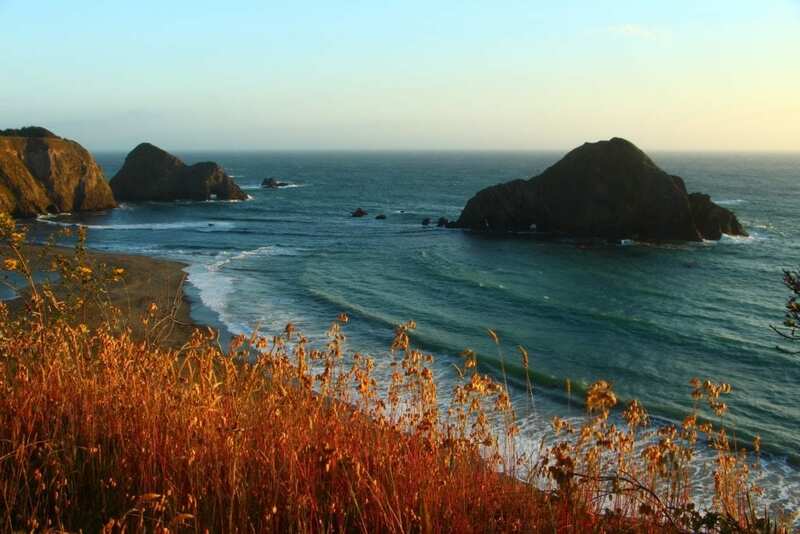 And like so many places along the Mendocino Coast, it was once abuzz as a thriving lumber town to fuel San Francisco’s construction boom in the late 1800s. The L.E. White Lumber Company established its lumber mill here in 1883. The company dammed Greenwood Creek to construct mill ponds that spanned the beach and built an unusual wharf that stretched along the rock outcroppings into the ocean. Redwood timber from the hills that rise above the town was milled on-site and then loaded onto schooners bound for San Francisco. By 1890, mill production had reached 100,000 board feet a day. Elk’s population swelled to over 1,000 people sustained by 14 saloons, four dance halls, a barber, butcher shop, creamery, and a number of brothels. The mill remained in operation until 1930. Remnants from the mill and wharf were dismantled long ago, and few vestiges of the town’s lumber heyday remain. But one notable exception is the small Victorian home built by the lumber company to house visiting buyers in 1883. Nestled among native cypress trees on a bluff above the beach, the Victorian still overlooks the lovely cove and former mill site. 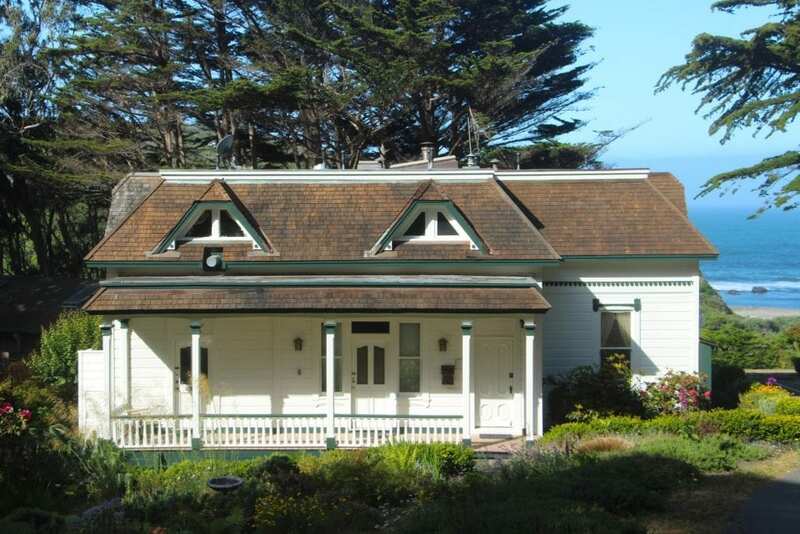 In 1968, the home became one of Mendocino’s first bed and breakfast inns: Elk Cove Inn & Spa. A petite Southern spirit, Elaine Bryant bought the Elk Cove Inn from the original owner in 1994. In the years since, she has been welcoming guests to the inn with her charming hospitality, inviting rooms, and extraordinary breakfasts. She pampers guests with a long list of extras starting with welcome baskets filled with chocolate chip cookies, fruit, and wine from the nearby Andersen Valley. From 4 to 6 p.m., the inn serves up its “Happy Two Hours” in the oceanfront dining room with a complimentary assortment of liquors and mixers for crafting your own cocktails. The happy hour event also includes complimentary wine, cheese, and crackers. On busy nights, it can become such a lively, crowded affair that one of the innkeepers told me she sometimes has to go out one door and in through another just to reach the stairs. In the morning, guests are treated to a sumptuous breakfast feast that includes champagne for make-your-own mimosas and a seemingly endless array of egg entrees, breakfast sides, fresh fruit, and pastries. The buffet also showcases several of Elaine’s signature Southern dishes: to-die-for biscuits and gravy that conjured memories of my mother’s cooking, a delicious bread pudding with a whiskey black walnut sauce, and a surprisingly light “morning pie,” which Elaine likens to a “guiltless cheesecake.” Breakfast at the inn is only rivaled by the view of the ocean and the rock outcroppings below. After a long drive up the coast, I started my stay at the inn with a massage at the inn’s day spa. The spa is a private, meditative space housed inside the historic mansion and warmed by the glow of a fireplace. The room is furnished with antiques, two massage tables, and a beautifully wallpapered ceiling with an intricate, replica of a design from the early 1900s. The warm oils and expert hands of the massage therapist left me completely relaxed. Guests have the option of adding an aromatherapy shower and sauna to any spa treatment. 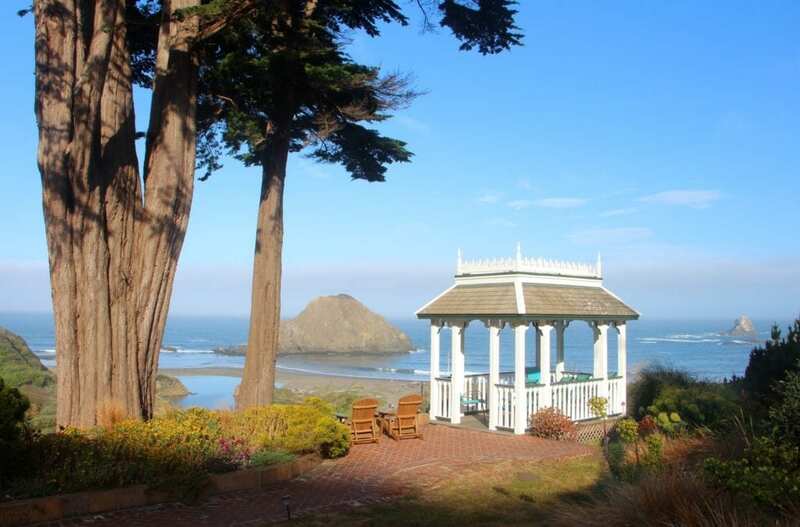 In addition to the day spa and the oceanfront dining room, the Victorian mansion houses six guest rooms with ocean or garden views, all beautifully appointed and all with gas or electric fireplaces. 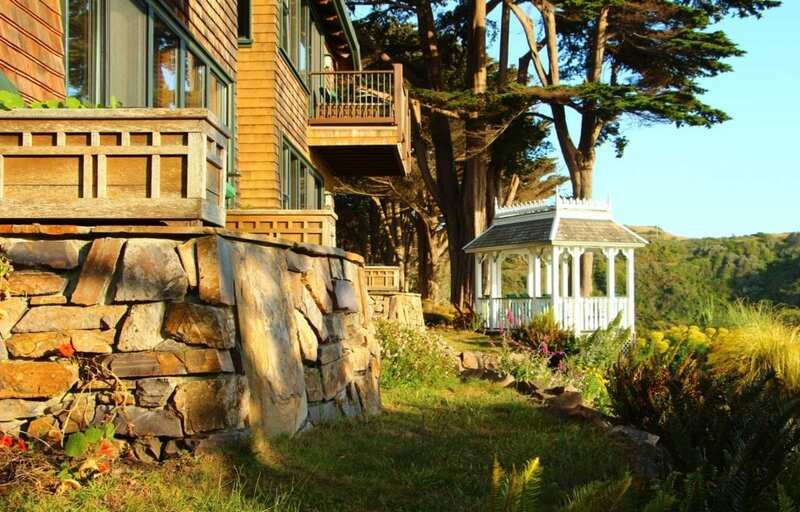 Clinging to the side of a cliff, four cozy, oceanfront cottages have a more rustic appeal with commanding ocean views. 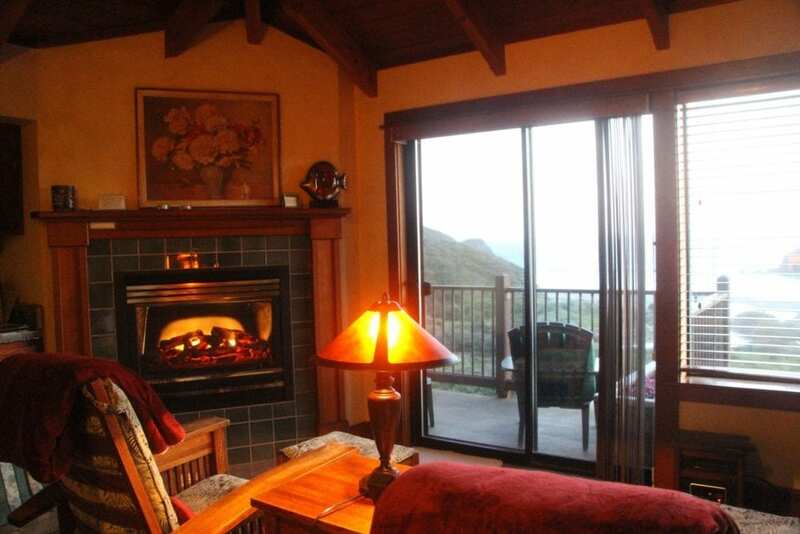 Two of the cottages have wood burning stoves while the other two have gas or electric fireplaces. The former carriage house for the mansion houses the inn’s two newest rooms: the oceanfront Wave Watcher and the Hideaway. The Wave Watcher features a spacious, uber modern bath, a hefty wood-burning fireplace built from brick, and great views. 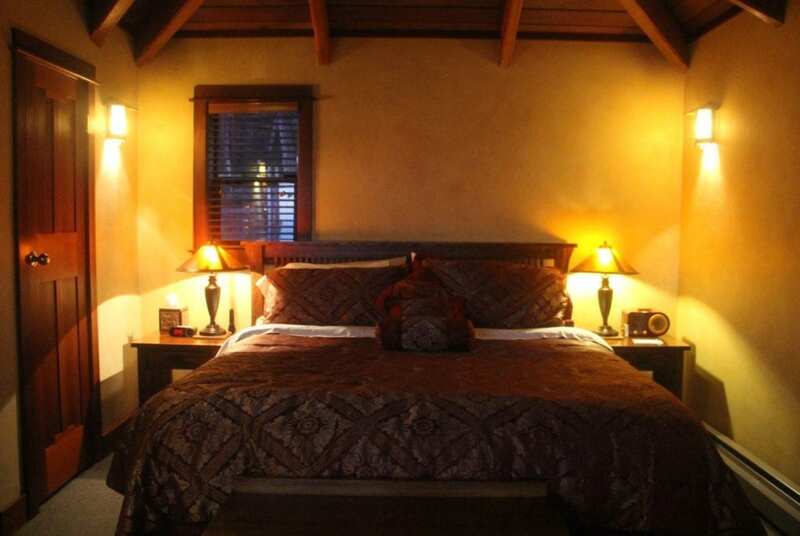 The Hideaway offers accessibility features and cozy charm. Both carriage house rooms and two of the cliff-side cottages are pet-friendly. A contemporary building next door to the carriage house houses four luxury oceanfront suites. I stayed in the L.E. White Suite, which is fit for a lumber baron. 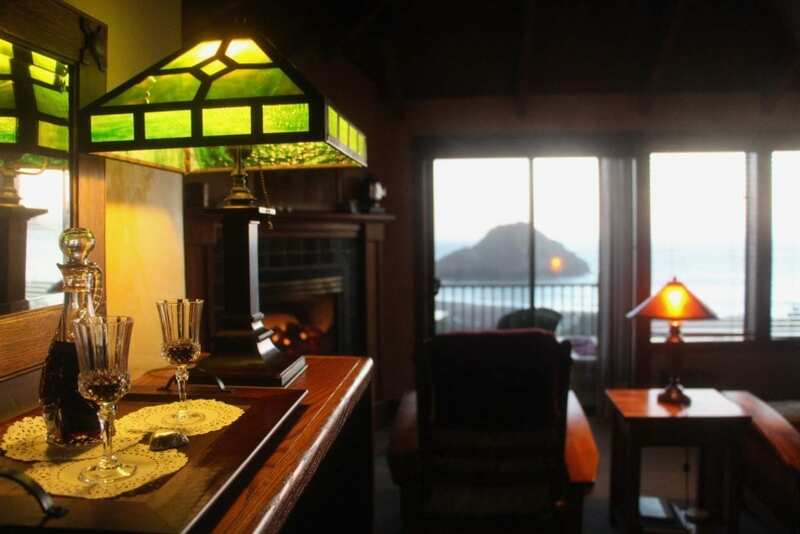 The spacious suite features vaulted ceilings with exposed redwood beams, handsome Art and Crafts furnishings, a jetted spa tub with a separate shower, an electric fireplace, and a bank of windows overlooking the ocean which open onto a private balcony. I poured myself a glass of wine walked out onto the balcony to take in the view. A private trail winds its way down to the beach below, where several birds were flitting around the mouth of the creek. As the sun began to drop lower in the sky, I made my way down the trail to explore the beach and marvel at the quiet amid what at once had been a buzzing lumber operation. Another trail leads up from the beach along the bluff to the California State Parks Greenwood/Elk Visitor Center and the center of town. The visitor center and their knowledgeable staff provide a glimpse of life in this lumber town over a century ago. A large mural depicting the mill and the wharf spans one entire wall. The visitor center’s rooms are filled with photographs of the early settlers and relics from their lives. 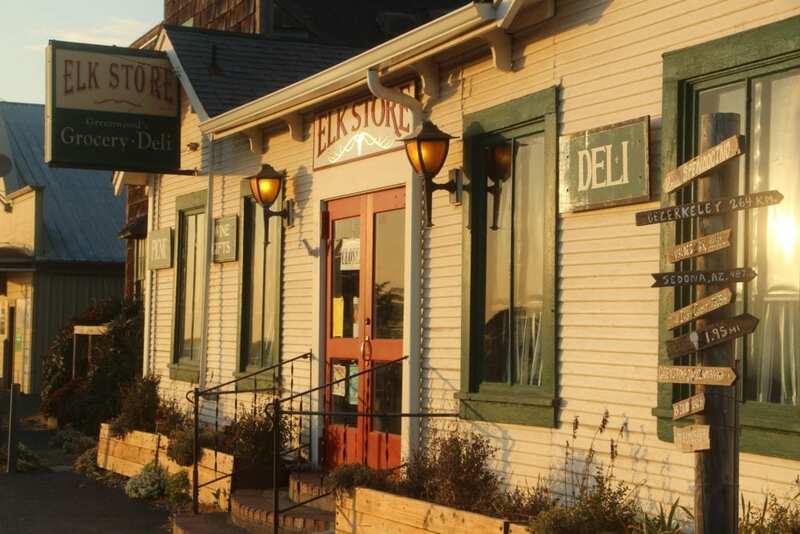 Across the street, the Elk Artist’s Collective is a two-story gallery featuring the work of local artists. Just down from the gallery, the Elk Store is a charming road side general store that’s been serving the community of Elk since 1927. They sell an assortment of locally-made soaps, jams, retro kitchen towels, and other gifts. Their deli features an impressive selection of charcuterie, cheeses, and salads. They also make great paninis and wraps. I ordered a roasted turkey panini with smoked gouda and pesto aioli and brought it back to my room for a quiet dinner curled up in the chair by the fire. Afterwards, I poured myself a bit of complimentary port from the in-room decanter and stepped back out onto the balcony to gaze at the blaze of stars above. Later, I would slip between the luxurious sheets and fall asleep listening to the sound of the surf.